It’s not too late to share the Success for Survivors Scholarship in your community— the deadline is February 1. 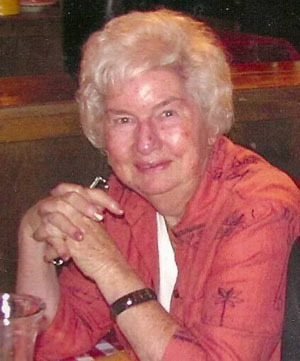 GFWC’s scholarship aims to provide financial and personal independence to survivors of intimate partner abuse who are seeking post-secondary education. The $2,500 scholarships make a big difference in the lives of students, whether they’re attending a four-year university, a community college, or a vocational school. Those who have experienced and survived domestic abuse, sexual assault, or physiological harm from their partners deserve a chance to reshape their lives. The Success for Survivors Scholarship gives survivors that opportunity. A scholarship makes education more affordable, and education leads to future employment. Spread the word by sharing the application with local schools and relevant student groups now. And, it’s not too early to make a tax-deductible donation to support survivors next year. The goal for the 2018-2020 MLK Grand Initiative is for a 1,000 clubs to participate! Do you want to join but didn’t have time to plan? You’re in luck! Organizations across the country are hosting events that you can join. From packaging food for families in need to cleaning up streams, you’ll be doing a great service to your community. Find a volunteer opportunity near you and invite your friends and family to show them how great volunteering feels. MLK Day is an excellent opportunity to recruit new members! We want to see your projects, whether your club created its own or joined with neighboring organizations. Take some action shots and send them to pr@gfwc.org with a summary of the day. Every spring, high school sophomores from across the nation join one of HOBY’s 70 State Leadership Seminars. The seminars are three to four days of speakers, workshops, and discussions that allow students to explore and improve their leadership talents. Students are registered by school administrators and counselors, so pass the information along to your local high schools. If you’re a sponsor or advisor of a Juniorette club, share this opportunity with them! Learn more and find the deadline for your state on HOBY’s website. Your club website is a chance for potential members to see if your club would be a good fit for them. If it looks out-of-date, they may lose motivation or interest. Even if your club has never lost steam, an outdated website can give the appearance that it has. Update the copyright footer to the current year. An incorrect year indicates a website hasn’t been changed in a while. Keep your calendar and recent events section up to date. This will give visitors a reason to come back and check on public events they can attend. Ensure club leadership is current, especially at the beginning of a new Administration. By regularly updating web content, you’ll show visitors that your club is exciting, hard-working, and something they should be a part of! According to the Center for Disease Control, every day approximately ten people in the United States die from unintentional drowning. Drowning is a preventable death. “Swimming Saves Lives” was a natural State President’s Project for master swim team member Juliet Casper. The project encourages South Carolina members to sponsor swim lessons for all ages, donate swimsuits and goggles to aquatic center programs, promote water safety, and support local swim teams. Club members received a project resource guide at the state’s summer meeting and took a water safety quiz at the winter meeting held on January 5. 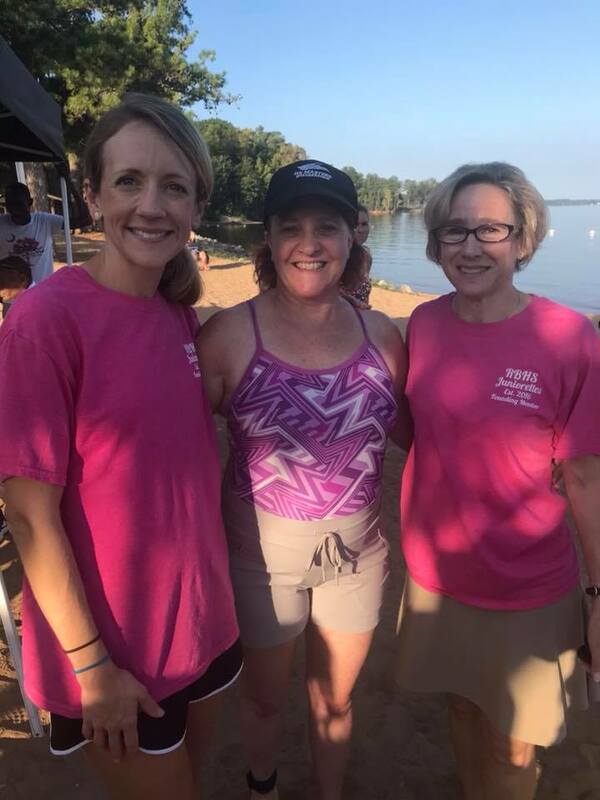 In September, two clubs, the Junior Woman’s Club of Lake Murray and River Bluff High School Juniorette Club, volunteered for the 20th Annual Dam Swim for Drew, a two-mile open water race across Lake Murray. Juliet and her father also successfully completely the race! The yearly event honors the life and death of Drew Smith. Because of Drew, South Carolina now enforces the Boating Safety and Reform Act of 1999, known as Drew’s Law. Since Drew’s Law went into effect, boating fatalities have dropped statewide. In addition to “Swimming Saves Lives,” GFWC South Carolina has adopted two partners for the 2018–2020 Administration: USO for the first year and St. Jude for the second year. The winter meeting featured a speaker from the USO and a supply drive for the Columbia Airport USO Center, office supplies, and Dr. Seuss books for the United Through Reading ® program. The GFWC Northboro Junior Woman’s Club (Massachusetts), The Woman’s Club of Parsippany Troy Hills (New Jersey), and the Elgin Junior Women’s Club (Illinois) are featured on GFWC’s Blog. McElligot’s Pool, a book where a boy imagines all the strange fish that might be swimming in the pond, was the only Dr. Seuss book illustrated with water colors. Continue donating books for the Dr. Seuss Initiative. Use our convenient labels to add your personal touch! Do you have any travel plans for 2019? Don’t forget to snap a picture of this “flat GFWC” once you get there. Post the picture on your Instagram or Facebook and tag it using #GFWC1820. The GFWC Juniors will be awarding winners for most creative, funniest, and furthest distance! Constitution: In most clubs, the bylaws are the highest level of rules. Some clubs have a constitution instead of, or in addition to, the bylaws. If a club has both, the constitution outranks the bylaws. Both the constitution and the bylaws contain the basic rules of the organization itself, not its parliamentary procedure. It is recommended that the constitution and bylaws be combined into a single document, usually called the bylaws. Except for the Corporate Charter in an incorporated organization, the bylaws are the highest body of rules in groups as normally established today. They contain the limitations that are placed on the group and its members, as well as defining the rights and responsibilities of members. All members who want to be active participants in the activities of the club should become familiar with the bylaws, and every club should ascertain all members have a copy of the most recent bylaws. Standing Rules: Club standing rules relate to the details of the running of a society. They are generally not adopted at the time a group begins, but are voted on as the need arises. A standing rule can be adopted by a majority vote without previous notice as long as it is not in conflict with any existing rule of the society. If the bylaws of the club state that the club will meet monthly on the second Thursday, the time and/or place of the meeting would probably be in the Standing Rules. That way, it is easily changed. Things like hostess duties, receipts when purchasing club materials, and the everyday doings of your club, are found in the Standing Rules, when necessary. 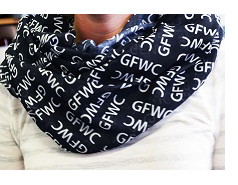 Keep your neck warm and your outfit fashionable with GFWC Infinity Scarves! The looped scarf makes it simple and quick to put on. Dress up or down with ease and style. Get yours for $20 in the GFWC Marketplace.